When news of Paul Feig’s Ghostbusters reboot initially broke, suffice to say it caused a great deal of polarity in opinion. From the very beginning, it caused widespread division within the GB fandom, with further details and information giving greater traction to a constant war of words and outrage. Earlier this week in fact, one of GP’s own newest recruits Mark Hughes addressed the issue of hate directed towards the film – and now it’s my turn. I suppose I should start off by saying I’m not really a major Ghostbusters fan. I watched the films and cartoons as a kid alongside my brother – and I liked them, (Janine especially) but not enough to say they were my childhood heroes. This might make me a little more objective when it comes to the prospect of a reboot, because it’s not a fandom I’m fully invested in or even all that aware of. I do however, understand what it’s like to watch something you cherish and have grown up alongside suddenly deviate from what you know. A lot of the protest to the reboot has been branded as misogynistic tripe because of the decision to head-up the movie with an all female cast – but from talking to GB fans I would argue that the rampant sexism is only a very small percentage of those objecting. The greater issue comes from uncertainty over the casting choices and the simple fear that perhaps, despite good intentions, Feig won’t do justice to such a beloved franchise. This is a valid concern and understandable given the fandom’s role as such a beloved cult staple. So let’s clear up a few things shall we. Firstly, Paul Feig is hardly inexperienced. He’s been in the industry longer than I have actually been alive. Granted he started out as an actor, but his directing and writing credits are formidable in their own right. You’ve probably heard of him thanks to his quirky comedies like The Heat or Spy, but did you know he’s also directed for multiple acclaimed TV Shows? He’s leant his talents to everything from Mad Men through to Weeds and Arrested Development – and despite common assumption, is very much aware of the franchise’s legacy and how important this film is to fans. Directors don’t generally wade into projects without researching them, or being fully aware of what they’re signing onto. He’s not going in blind. He’ll have thought long and hard about what he wants to convey on screen and how that ties into the franchise foundations laid by the original cast and writers, back in 1984. He knows he’s got big shoes to fill – and honestly, he’s got the potential there to pull it off. Secondly, contrary to popular belief, the acting talent isn’t bad. Sure, Melissa McCarthy is well known for her patented brand of comedy, but she’s also proven herself to be a stellar actress, having delivered commendable performances across both film and television. Her roles in Feig’s own movies Bridesmaids and Spy have received substantial praise, not to mention her impressive 7 year run as Sookie St.James in Gilmore Girls, and starring alongside Ryan Reynolds in sci-fi flick The Nines. Kristen Wiig is another actress that again, has a solid background in comedic performances, but has also shown tremendous skill and narrative in everything from Whip It, alongside Ellen Page, through to the Chilean-American drama film Nasty Baby that did the festival circuit back in 2015. Kate McKinnon and Leslie Jones are also firmly rooted in the realm of comedy and are best known as regulars on SNL, but casting comedic actors doesn’t automatically turn the film into a joke. Hell, even the original was headed up by SNL regulars and that was a dynamic that worked – so what’s to say the new incarnation won’t do the same? Every generation has it’s own movie staples, these are the classics that we look back on fondly and that have touched us on a personal level. They’re iconic memories, snippets of thought that shape who we are and what we love. 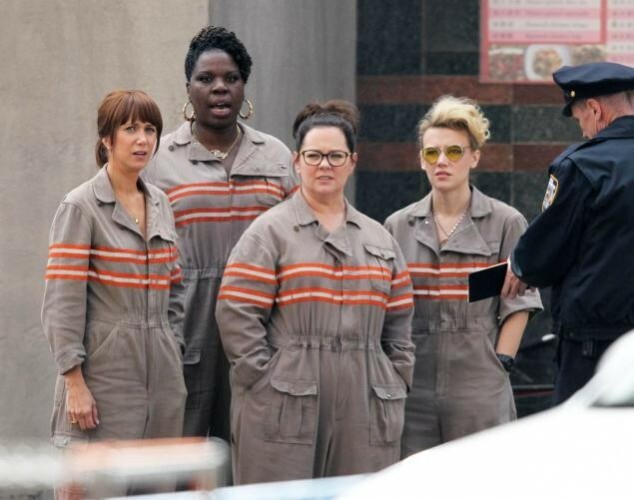 There’s no denying that Ghostbusters touched the lives of so many people, but what’s to say the new film isn’t going to do that for millions of boys and girls out there? Why shouldn’t they have characters to look up to and idolise? The new movie doesn’t erase the existence of the original two films, if anything it’s fleshing out the universe and giving rise to a new generation of Ghostbusters. Maybe the fans of the new incarnation will seek out the old ones, maybe they’ll be as enamoured with the world of Ghostbusting as you were! Think of it as looking at the bigger picture . You don’t have to like this movie. Nobody is going to waterboard you and force you to watch it against your will. It’s a basic fact of life that not everyone will like everything. Even I myself have a list a mile long of commercially successful and popular films that I despise with a fiery passion – it’s totally okay. The part which is not alright however, is lambasting children for taking joy from the new films, or attacking production teams for daring to touch a movie franchise and bring it to a new audience. At it’s core, that really is all they’re doing. They’re re-imagining a world with new Ghostbusters, bringing a whole host of new adventures and possibilities to the existing universe. They’re giving little girls a new and exciting role model and showing them that they can be whatever they want to be! I’m not going to exaggerate and declare this to be a huge staple of feminist iconography, but it’s making equality accessible and relatable to a young audience , which really can only ever be a good thing. I get where the protest is coming from, really I do. Change is scary and it can be daunting at times, to see something you have such a deep and long standing fondness for suddenly in the hands of someone you don’t know nearly as well. I know a reboot isn’t what a lot of people wanted, if anything they would’ve preferred a continuation of the originals, but that ship has long since sailed and sunk – and what we’re left with now is a world of new possibility. 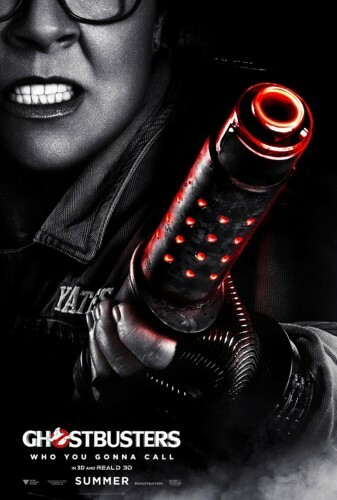 This movie is getting people talking about and interested in Ghostbusters. Whether it’s the purity of the originals, the comics, the cartoons or the reboot – it doesn’t matter. You’re all fans of bustin’ ghosts. So instead of hating on a film that hasn’t even been released yet, maybe you could direct that energy into telling newer fans about why you fell in love with the movies in the first place. Maybe you can focus on the positive rather than shooting down a film that will, whether you like it or not, bring smiles and excitement to countless people. Maybe at the end of the day, you can give it a fighting chance, before passing judgment.